Most vegetables are friendly. They have bright colors, smooth shapes and are delightful to pick and prepare. 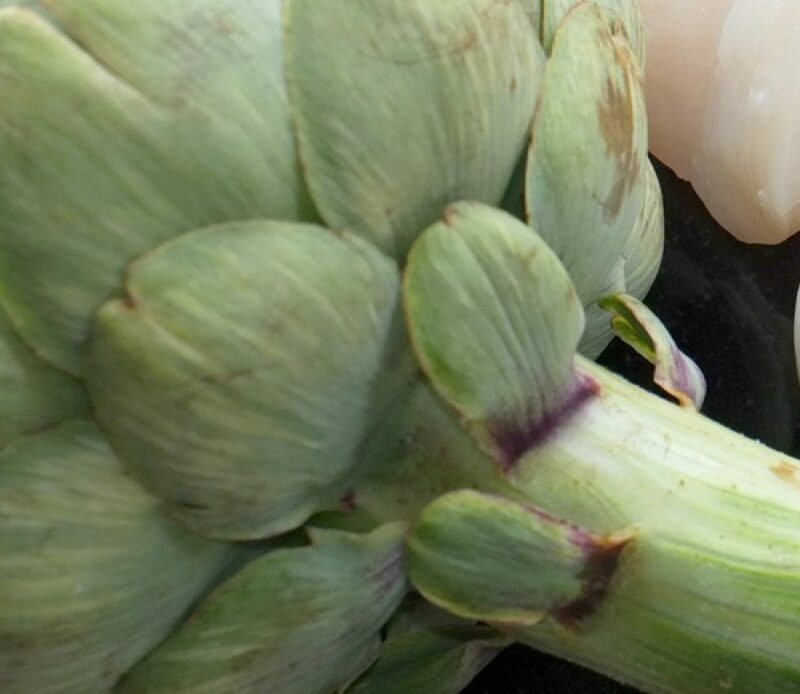 They are friendly, even gregarious — but not the artichoke. This standoffish veg doesn’t want to be sociable at all. Its rough exterior is full of self-protecting thorns. If you didn’t know any better you might want to ignore this curmudgeon altogether. But not us, we know that underneath that ill-mannered rough exterior lies some tender leaves and a soft-hearted center. Take a look at Chef Jeremy’s ideas on how to kindly cook an artichoke and you’ll see what I mean. There are lots of reasons to want to get to know the artichoke better. It hangs out in lovely cuisines like Italian, French, Spanish and Egyptian. Its cultivation and consumption goes back to the days of ancient Greeks and Romans, and it even grew in King Henry VIII’s garden. It’s a relative of the thistle so it comes by its off-putting attitude rightly but on the other hand it has a sweet side to its story. A chemical found in its pulp, leaves and tender heart called Cynarine actually has an effect on our taste receptors that causes food and beverages to taste sweeter. You see! Deep down inside. Give this good-hearted curmudgeon a chance by preparing it Chef Jeremy’s way in Okey-Dokey Artichokey or try his Lemon Parsley Artichoke recipe.